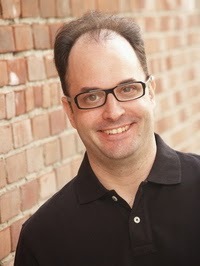 David Stableris the kid-friendly alter ego of Robert Schnakenberg, the author of several books of pop history including Secret Lives of Great Authors, Secret Lives of the Supreme Court, and Distory: A Treasury of Historical Insults.Visit the websitehere. We all have our opinions of the President of the United States based on our own set of values. With each inauguration, Americans are hopeful that the new President will change the United States for the better, progressing in education, economics, government, and technology. What we don't get to see as citizens, unless we do our own research, is the back story of each of these men (perhaps one day a woman?). 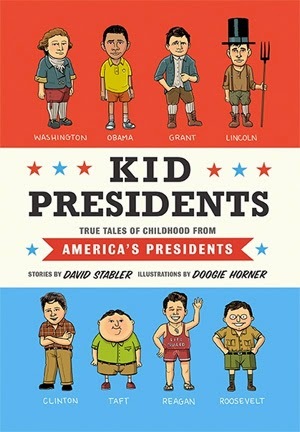 What was it like to be a kid, not knowing that one day he will be President, not knowing that one day he will change the world for the better, or sometimes the worse.David Stabler and illustrator Doogie Horner give kids a glimpse into the life of a kid president. The book is divided into three parts. Part I covers Extracurricular Activities with such tales as Grant's horseback riding adventures. Part II covers Fantastic Journeys such as Barack Obama's move from Hawaii to Indonesia. Finally, Part III covers growing up such as Abraham Lincoln's life with his new stepmother. Each story is cleverly paired with age appropriate illustrations, and the stories are interesting and rare enough to read the entire book instead of choosing one or two presidents. Included in the back of the book are quotes from each president's teacher as well as 44 facts about the presidents. Young readers will find comfort in knowing that the presidents they admire were all just kids like them.